The interfaces developed by itelligence between SAP SuccessFactors Employee Central and our HCM system create considerably simpler business processes. The core hybrid solution enables central master data management, avoiding media disruptions and saving time. In late December 2008 FrieslandCampina was founded on two great Dutch dairy companies: Friesland Foods and Campina, which developed along similar lines in the 19th and 20th centuries. Today, FrieslandCampina has branch offices in 34 countries and supplies its products in more than 100 countries. FrieslandCampina’s 23,675 employees generate annual sales of about EUR 12.1 billion. Read more about how our interfaces between SAP SuccessFactors and SAP HCM optimize FrieslandCampina's central data management, avoiding media disruptions and saving time. Food production and handling personnel data have several things in common. They require high awareness of responsibility and quality. These success factors have already been long known to FrieslandCampina Germany, a subsidiary of Royal FrieslandCampina. The quality of milk products is therefore consistently very high. Famous brands such as Landliebe, Tuffi, Frico, HollandMaster and Chocomel are included in the range. To process personnel data throughout the country just as qualitatively and without media disruptions, the food manufacturer decided on an SAP core hybrid solution. This means that payroll accounting and time management are done on-premises, but other HR applications use the SAP SuccessFactors Cloud solution. As early as the 2000s, itelligence introduced payroll accounting and time management via SAP ERP HCM at FrieslandCampina Germany. According to current group specifications, master data entries were eventually replaced via SAP HCM by SAP SuccessFactors Employee Central. The aim is to achieve central reporting at group level. To ensure the necessary data transmission, itelligence was again mandated as a trusting IT partner – this time for the creation of individual interfaces. The challenge here lay in the internationality of the project. Though the group’s headquarters are in the Netherlands, some contacts are resident in India and key users in the German subsidiary. With a structured strategy and target-oriented communication, the challenge was successfully mastered. Customer requirements were initially defined in the context of a scoping workshop. What was specified here was that master data management should occur centrally. This means that the further distribution of data in Employee Central using the interface in countries’ on-premises systems must be ensured. Data such as name, salary and department are transferred for the purposes of evaluation of each interface by SAP Employee Central in SAP HCM. Tax and social security data, however, remain in the local on-premises systems. With this aim in mind, which fields from SAP Employee Central in SAP HCM should be mapped was determined. 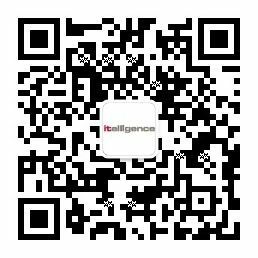 In the cooperation of itelligence experts with key users, specific local requirements such as tariff systems were also taken into account. 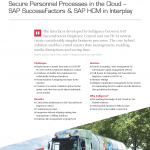 Individual customization ensured that data could be replicated into the SAP SuccessFactors Employee Central Cloud solution and, based on the template, back again into SAP HCM. The high precision of the interfaces had already been displayed when they went live. FrieslandCampina was able to begin with just a one cent accounting gap in the data not originating from the cloud. The food manufacturer also benefits from long-term maintenance in addition to innovative SAP functions through the itelligence Application Management Service (AMS). This way, nothing gets in the way of further growth.